Merlin's Secret Journal: So much news I'm gonna die. That test I told about? It was only 2 days! W00TZ! Any way, I got 200 profile views! This blog is only a week old! How did that happen!?! So, here is the best news of all! Well, I got these 2 boy hamsters named Cheese and Crackers. Heres Cheese: Now here's Crackers in my hand: Now, heres why its news. Turns out Cheese was Cheezette. Oops! Anyway, I named the babies they had a few days ago after good friends of mine. 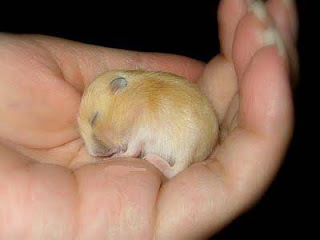 Heres Percy Stargem: Here's Annabeth GriffonDreamer: Now, my most favoritest of the babies, and someone BETTER foward this to friendly, THOMAS HAMSTERBLOOD: I'm training them to be ninja hamsters to help me and Amber rule the spiral! woohoo!! I'm named after a boy hamster!! Every girls dream I tell ya... I plan on having Percy StarGem by my side in battle very soon young padawan. @Anonymous- The one holding Tom in the last picture is my sister. @Bailey: Try and make him post about it if you can! I want baby Tom to be famous!